Playing the devil’s music -Kings of delta blues -Tommy Johnson and Robert Johnson. There are several connections between Tommy Johnson and Robert Johnson. Both lived in the Mississippi Delta region, both were highly influential blues musicians and singers, both enjoyed ‘wine, women and song’ and both sport a mythology that they sold their souls to the devil in exchange for their extraordinary powers in music. Tommy Johnson (1896 – November 1, 1956) was an influential American delta blues musician who recorded in the late 1920s, known for his eerie falsetto voice and intricate guitar playing. Tommy Johnson was born circa 1896, on George Miller’s Plantation near Terry, Mississippi, twenty miles south of the state capital of Jackson. One of thirteen children, Tommy and his family moved to Crystal Springs, Mississippi, around 1910. The Johnsons were a musical family. Tommy’s uncle and brothers Mager and LeDell played guitar, while other relatives played in a brass band. LeDell taught Tommy the rudiments of guitar about 1910, and by 1914 the Johnson brothers were supplementing their sharecropping incomes by playing parties in the Crystal Springs area. Johnson cut his first records with guitarist Charlie McCoy in February 1928 at the Memphis Auditorium for the Victor label. These sides sold well enough to prompt a follow-up session in August of that year. That session yielded the notorious “Canned Heat Blues,” in which he admitted to drinking Sterno to satisfy his alcohol cravings. The theme of alcoholism would be touched upon again in “Alcohol and Jake Blues,” waxed during his final recording session for the Paramount label in December 1929. Johnson traveled to Paramount’s studio in Grafton, Wisconsin, where Delta luminaries Son House, Skip James, and Charley Patton had also recorded. After the onset of the Great Depression, the enthusiasm of the record-buying public lessened and Johnson was not invited to record further. – Houston Stackhouse, Delta Blues artist. An essential Tommy Johnson collection, Document’s Complete Recorded Works (1928-1929) features 17 songs from the Delta blues pioneer, including two alternative takes and a pair of previously unissued songs known respectively as “Morning Prayer Blues” and “Boogaloosa Blues.” Culled from the great Delta musician’s recording sessions in Memphis and Grafton, WI, from February 1928 to December 1929, this collection shines a light on all of Johnson’s known output during his most active recording years. As with most music taken straight from original 78s, the sound quality varies between tracks; all in all, the pops and static aren’t too distracting here. The music is well-worth seeking out as the writing, guitar playing, and singing are all exceptional. Johnson’s voice, one of the distinctive early Delta blues voices along with Son House and Charley Patton, changes from a deep rumble to a woeful falsetto while his guitar playing is characteristic of the early Delta style. With the exception of a few of the tracks from an August 1928 session, other players accompany Johnson on the tracks. Highlights include the well-known material such as “Cool Drink of Water Blues” and “Canned Heat Blues,” as well as scratchy lesser-known gems from his later sessions. The tracks “Ridin’ Horse” and “Alcohol and Jake Blues” were taken from what is believed to be the only remaining copy of the 78 they were originally released on. These two songs had not been released on CD prior to this collection. 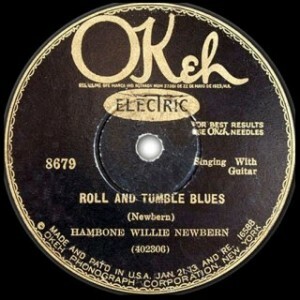 On the two versions of “Black Mare Blues” included, Johnson is joined by the New Orleans Nehi Boys, featuring Kid Ernest Marshall on clarinet and Charley Taylor on piano. The CD includes informative notes by Paul Oliver, personnel lineups for each session, along with issue numbers for the original releases. This is highly recommended for those who have never heard Johnson’s music and equally recommended for those who have. Robert Johnson, “King of the Delta Blues Singers”, was born in Hazlehurst, MS in Copiah County, on May 8, 1911. Crystal Springs, MS . Robert and his mother did not stay long in Hazlehurst. After working as migrant labor, his mother moved the family to Memphis where he lived for several years. Early in life Robert developed an interest in music. He played Jews Harp and harmonica for the next few years until he became interested in guitar in the 1920’s. Robert was a good looking boy and he became very popular with the girls. Eventually he became serious and married a young Virginia Travis in 1929. She and Robert’s first child died during childbirth in 1930.After this early tragic experience, Robert became absorbed in his music. 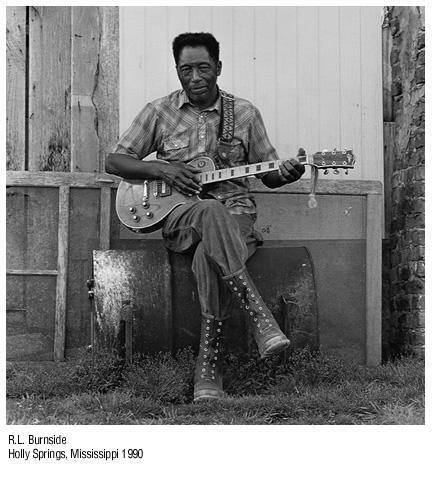 While living in Robinsonville, Robert met other blues singers who influenced his early style. Among those were Son House and Willie Brown. Bluesman and preacher Son House particularly influenced Robert with his ‘raw and intensely pure emotional music. ‘Robert went back to his birthplace Hazlehurst searching for his real father, and became more serious about his music. Robert’s understanding of women deepened and he began to understand that they could provide everything he needed. He met a kind and loving woman more than 10 years his senior with three small children. Robert and Calletta Craft were married her in 1931. She totally loved and took care of Robert. Robert wasn’t particularly respected at the time because he was not a hard labourer like many people at the time, his work seemed too easy to many people. No one knew he was married, and thought he was being kept by an older woman. The trip to Mississippi in the 30’s was really important to Robert. During his stay, Johnson’s personality developed into the man he would be. Also of great importance was the musical talent and ability that blossomed while he was in Hazlehurst. He would spend time alone practicing songs until they were just as he liked them. When he felt ready for more learning, he packed up his family and moved to the Delta. When Robert returned to Robinsonville, he had surpassed his friends Son House and Willie Brown. He played in bars and on street corners for a new months and then would move on. Robert began to spend time on the Arkansas side of the river, across the river from Memphis in a town called Helena. All the great musicians of that time passed through Helena and west Helena, and many were influenced by Robert. There was a special young man to whom Robert took a liking named Robert Lockwood, Jr. Robert Johnson lived with young Robert’s mother, Estella Coleman. Robert J. tutored the young man who had an admirable musical talent. He shared much of what he knew with Robert Jr over the next four or five years. His style took on many of the characteristics of Robert Johnson’s. Estella was good to Robert, she took good care of him. Robert stayed in Helena with Estella and Robert Jr, and from this base travelled to play all over Mississippi and the Arkansas Delta. Robert had the opportunity to meet and play with all the great blues contemporaries. Robert guarded his musical style well. If he felt someone wanted to be like him, play like him, he would leave in the middle of a performance. He loved traveling and seemed always on the move. Robert could play most anything requested of him. He had an ability to learn music and lyrics quickly, after only hearing a song once, he could play and sing it, not only the blues, but pop, ballads, and other styles as well. By the mid-thirties, Johnson was well known through the Delta, Mississippi, and Tennessee,and began to think about recording his music. He contacted H. C. Spier in Jackson, MS, who connected him with someone who could help him. 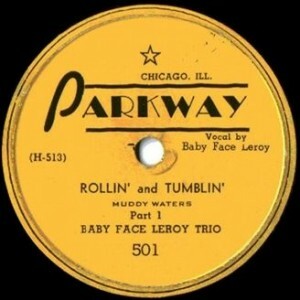 In 1936 he began to record his songs, among them his most popular Terraplane Blues. He made eleven records which increased his fame. Johnson is one of the most admired and influential Delta blues artists despite his short life and the small number of recordings that he left. His songs, such as “Sweet Home Chicago”, “Come on in My Kitchen”, and “Crossroad Blues”, are blues classics — played by thousands of blues artists and adapted by rock ‘n’ roll artists such as the Rolling Stones, Led Zeppelin and Eric Clapton. His life and work would later influence the growth and talent of such famous musicians as Eric Clapton, Muddy Waters, Bonnie Raitt, the Rolling Stones, Red Hot Chili Peppers, and yes, Elvis. Robert Johnson was a gifted singer, guitarist and songwriter whose life story is wrapped in mystery and legend. Only two photographs are known to exist of him and he recorded only 29 songs before his death in 1938 at the age of 27. 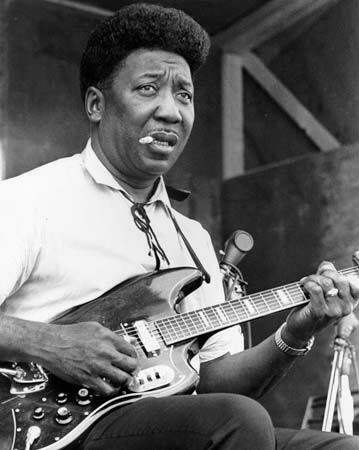 Many of his contemporaries believed that he met the Devil at a lonely crossroads at midnight and made a deal to sell his soul in return for becoming the greatest blues musician of all time. More likely, he was blessed with enormous talent and spent a lot of time learning from other blues masters and honing his skills. He achieved some success and fame from recordings and performances during his life and was scheduled to perform at the first “Spirituals to Swing” concert at Carnegie Hall when he died. Although his burial place remains uncertain, it is generally accepted that his death was not accidental. 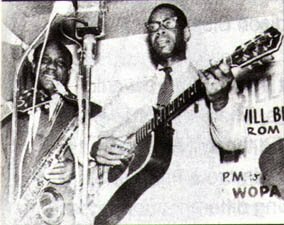 On Saturday night, August 13, 1938 at a jook joint named Three Forks, Johnson played his last gig. Of the many rumors concerning Johnson’s death in 1938 (stabbing, poison, the devil catching up with him), poisoning is the most prevalent and most substantiated. But Johnson did not appear to be gifted with a musician’s talent for guitar, as Son House asserts, ” Such another racket you never heard! It’d make people mad, you know. They’d come out and say, “Why don’t y’all go in there and get that guitar from that boy!” (Cobb 289). However a little later, when he returned to Robinsonville, Son House and Willie Brown were astounded by his artistic development (Lavere 13). 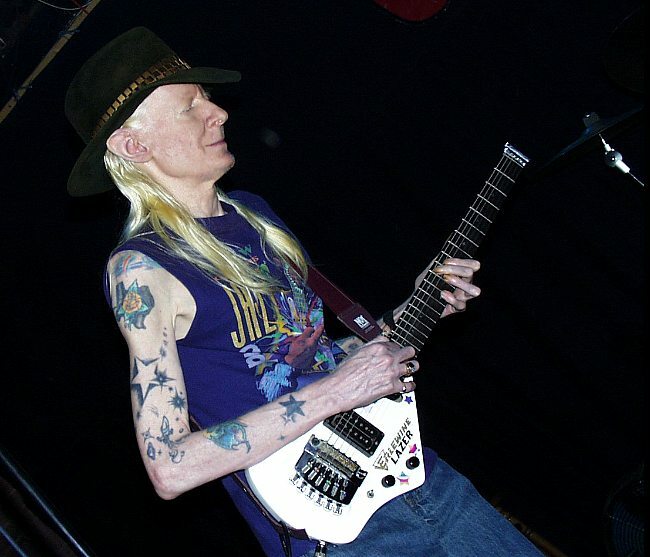 Rumors began about Johnson trading his soul to the devil in exchange for his guitar expertise. Robert Johnson died on August 16, 1938. He defined the 30s blues era, but died in 1938 at the young age of 27. Though he only wrote 29 songs, his impact on the world of music has been significant. There are only two photos of Robert Johnson that have been revealed to the public…one taken by the Hooks Bros. photography studio in Memphis and used on the cover of Johnson’s The Complete Recordings collection, and a so-called “photo booth” self-portrait of Johnson. Recently, however, vintage guitar expert Steven “Zeke” Schein discovered – on eBay of all places – what he believes to be a third photo of Robert Johnson, showing the mysterious bluesman standing alongside his protégé and traveling partner, Johnny Shines. Robert Johnson and Johnny Shines?? There has been a lot of discussion about whether the photo is really Robert Johnson,(see Vanity Fair) – and if you want to look at some ‘forensic’ evidence and discussion by some sceptical Johnson fans take a look here. The photo was first advertised as an early picture of BB King, but it seems that the long fingers could only belong to Robert Johnson. (note: Has any one asked BB? ).